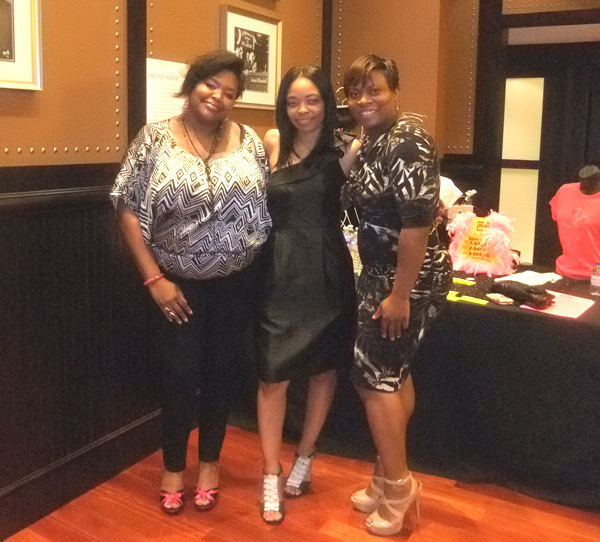 It was “All Divas on Deck” as the 1st annual Heeling Diabetes Shoenista Auction kicked off its charitable event at Shula’s Atlanta, and I must say it was definitely one to remember. The Heeling Diabetes Shoenista Auction is a shoe and accessory silent auction benefiting the Juvenile Diabetes Research Foundation which is the leading charitable funder and advocate of type 1 (juvenile) diabetes research worldwide. Guests were educated on the efforts that the Juvenile Diabetes Research Foundation (JDRF) has made to help find a cure for this devastating disease; as well some guests shared their personal experiences and how they’ve coped with diabetes in theirs and their families lives. 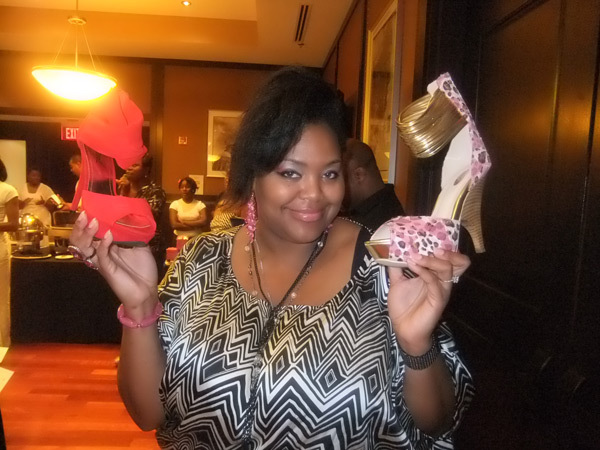 The Shoenistas were out in full force to bid on a smorgasbord of womens shoe styles that would send anyone to the nearest asylum if faced with the decision to choose just one pair. 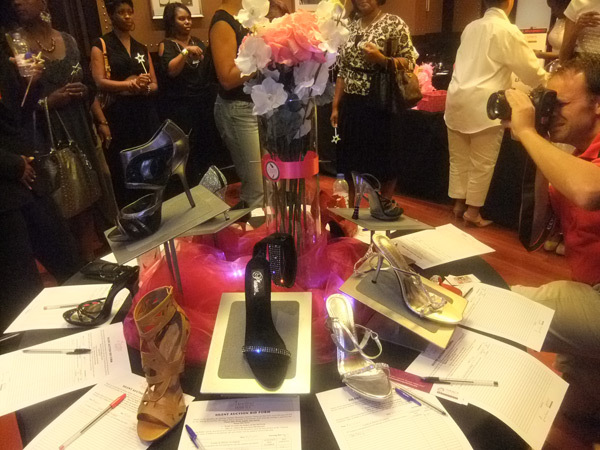 It was an amazing evening of fun, food, entertainment, networking, education, and of course there were all of those fabulous shoes and accessories that were auctioned off for a great cause. 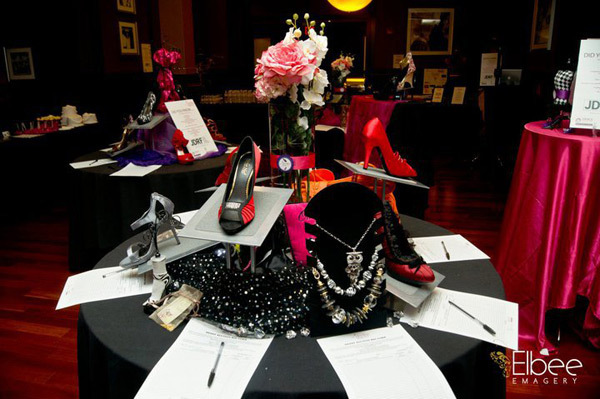 The shoes were donated for auction by stores such as Macy’s, Nordstrom, Nine West, Bakers, and K&G to name a few, as well guests were presented with a beautiful assortment of accessories to match. Other sponsors and volunteers to note are Images by Patrick & Carline, Crystyles Boutique, Walking Model, Pretty Feet, LA Lynn’s Jewelry Shop, Kingdom Klothes who provided fabulously bejeweled tees, Unique Faces Studio had the ladies all glammed up, Kustom Kreations and Elbee Emagery captured the event in photo, and LA Bonds Studios provided the videography. 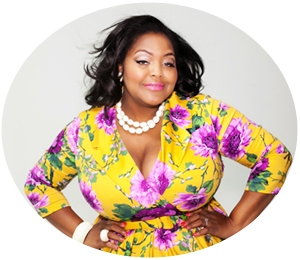 Throughout the event I met some wonderful women of all walks who gave generously of their time and service, and I felt honored and privileged to be a part of such a great cause as we have all experienced the effects of diabetes whether directly or indirectly. Check out this cool video slideshow of the event along with more photos.